NYU WIRELESS is celebrating its fifth year launch anniversary this month. The multidisciplinary research center was founded in 2012 to develop the fundamental theories and techniques for next-generation mass-deployable wireless devices across a wide range of applications and markets. In the years that followed, it has become central to the remarkably rapid adoption of technologies that promise to deliver broadband speed to wireless communication, thereby holding great promise for smart devices, autonomous cars, medical applications, and Wi-Fi for remote regions. A key focus of the center, based at the NYU Tandon School of Engineering, relates to millimeter wave (mmWave) systems operating in the high frequency bands above 10 gigahertz (GHz). Because of the large available bandwidths in these frequencies, the spectrum has the potential to provide orders of magnitude greater data rates than 4G wireless systems, which work in the highly congested narrow bands below 3 GHz. In 2013, when NYU WIRELESS Founding Director Theodore (Ted) S. Rappaport published the seminal paper "Millimeter Wave Mobile Communications for 5G Cellular: It Will Work!" few researchers had even recognized the potential of that spectrum – mistakenly believing that lower frequencies represented the limits of possibility for most wireless communications. The technology promises to support high-bandwidth mobile content at speeds exceeding 10 gigabits per second - a thousand times today's current mobile phone download speeds, ushering in a new age of wireless communication in which physicians can routinely use sophisticated virtual-reality tools to treat patients from remote locations; cars sharing a road communicate to avoid accidents; hundreds of millions of illiterate adults around the globe get access to needed educational materials; and smart buildings make the most efficient possible use of energy. 5G represents a revolutionary change that will enable a connected world beyond anything seen before and NYU WIRELESS is playing a vital role in this transformation and in providing its students the technical skills they'll need to take advantage of the new career opportunities in this field. The research also holds the promise of dramatically improving urban reception and reducing the cost of bringing fiber optic-speed Wi-Fi and wireless service to underserved rural areas, thus democratizing access and helping bridge the digital divide. The center has also made an impact in the medical field. Collaborations include creating new signal processing methods that allow patients to move about while taking an MRI and studying the amount of radiological exposure that leukemia patients are subjected to after undergoing a stem cell transplant. In another recent and important example, Tandon Professor of Electrical and Computer Engineering Yao Wang collaborated with researchers from the NYU Rory Meyers College of Nursing and other institutions to use machine learning and video analysis to detect and manage lymphedema, a condition common among breast cancer survivors. The center's more than 100 researchers – frequent recipients of generous grants from the National Science Foundation and other sources – include some of the most respected figures in the field, and NYU WIRELESS's student members include multiple recipients of the Marconi Society Paul Baran Young Scholar Award for their work on 5G wireless technology. NYU WIRELESS has nearly 20 industrial affiliates including AT&T, CableLabs, Crown Castle, Ericsson, Huawei, Intel, Interdigital, Keysight Technologies, L3 Communications, National Instruments, NextLink, Nokia, OPPO, Qualcomm, SiBeam, Sprint, UMC, and Verizon. Affiliates gain early access to the center's internationally recognized research, work with students and faculty on 5G-oriented projects, and have access to a pipeline of engineering talent for summer internships and full-time jobs. Research conducted at NYU WIRELESS was a key element in the Federal Communications Commission's 2016 passage of the Spectrum Frontiers Proposal (SFP), which frees up vast amounts of new bandwidth in the underutilized high-band spectrum. 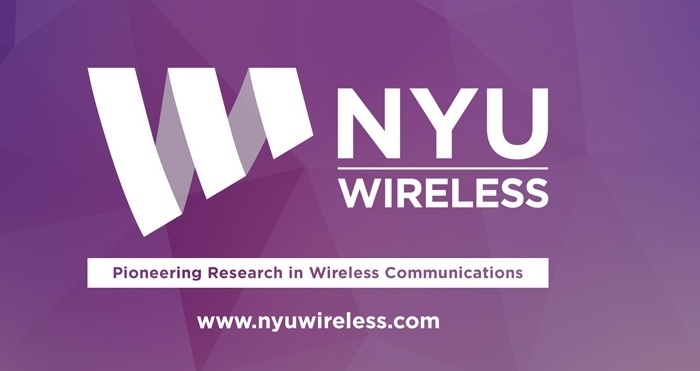 Additionally, NYU WIRELESS was one of only two academic institutions chosen by the FCC to help test, debug, and provide feedback on a new web-based portal that lets researchers apply for a program experimental license, a development that will reduce barriers to experimentation for universities, research laboratories, health care institutions, and manufacturers. (NYU WIRELESS was also the first applicant to receive a program experimental license.) In addition to the FCC, such bodies as the 3GPP and International Telecommunications Union (ITU) have also drawn upon NYU WIRELESS recommendations on regulation, safety, feasibility, and timing in setting their new benchmarks and standards for the future generations of wireless. Industrial affiliates are important participants in the annual Brooklyn 5G Summit, an invitation-only event held every spring at NYU Tandon and co-organized by Nokia. It draws hundreds of top figures in business, government, and academia from around the globe to explore the future of 5G wireless. The 2017 summit featured talks on 5G New Radio (NR), a wireless standard intended to become a foundation for the next mobile networks; Massive MIMO antenna technology; 5G network architecture and proof-of-concept systems; and more. IEEE, the world's largest engineering organization, broadcasts the event over the internet and archives the talks, which often move the industry to action.